Adrienne Roach is dedicated to helping clients achieve the optimal solutions to difficult family law issues. Adrienne is a fierce advocate for her clients. She understands that family law issues are highly personal and emotionally charged matters by nature, deserving of a well-considered and customized solution in order to achieve the desired outcomes. Adrienne takes a fully-engaged approach with her clients, educating and empowering them so that they may consider all options and make well-informed decisions about their futures. Adrienne’s clients appreciate the high level of responsiveness and personal attention she offers during what is usually the most important and stressful legal matter that her clients face during their lifetimes. While adept and experienced in contentious litigation advocacy and court trials, Adrienne prefers to work with her clients to find collaborative resolutions to divorce and dissolution. As a member of both the International Academy of Collaborative Professionals and the Collaborative Family Lawyers of Cincinnati, Adrienne’s goal is to partner with other professionals such as accountants, financial advisors, and mental health therapists to help her clients achieve their goals in a civil manner as opposed to an openly adversarial manner. This approach is especially beneficial in cases of divorce in which both parties will be required to continue to communicate and negotiate ongoing custody and visitation issues related to their minor and/or special needs children. In these cases, it is particularly important to maintain a foundation of communication and cooperation between the two parties to protect both parties’ relationship with the children. In addition, the collaborative process may be the preferred approach when one or both parties wishes to keep their divorce negotiations private, thereby bypassing the courtroom and public recording of the proceedings. Adrienne frequently represents executives, business owners, and their spouses in all matters related to family law, including divorce, dissolution, paternity actions, pre-marital agreements and various other proceedings that involve custody, visitation and support issues. Adrienne has significant experience handling cases that involve the valuation and division of privately-owned businesses; complex compensation, investment and retirement plans; commercial and residential real estate; and other complex assets. In addition, as a partner with a general service business law firm, she has ready access to her partners who have vast experience in specific areas of law such as Corporate Transactions, Real Estate, Employee Benefits and Executive Compensation, Estate Planning and Trust Administration, and Tax Law. Drawing on the knowledge and experience of her partners within the confidential confines of a single law firm has been of tremendous benefit to Adrienne’s clients. 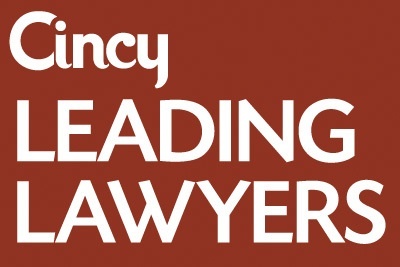 A frequent lecturer on family law issues throughout the state of Ohio, Adrienne also has contributed articles on various topics to Law You Can Use, a weekly consumer legal information column provided by the Ohio State Bar Association. Adrienne has completed the Family Law Trial Advocacy Institute with the American Bar Association. She also has completed training in Collaborative Family Law. Licensed to practice law in Ohio and Kentucky, Adrienne represents clients in Hamilton, Butler, Warren and Clermont counties in Ohio and in Boone, Kenton, Campbell and Jefferson counties in Kentucky. 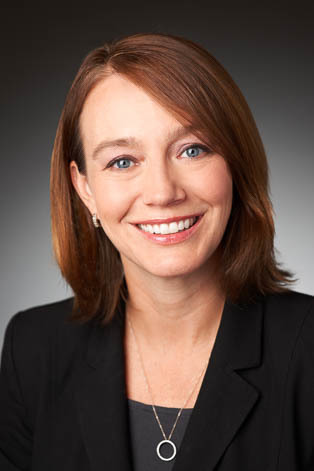 Adrienne is a member of the Board of Directors at Keating Muething & Klekamp, and she serves as Co-Practice Group Leader of the firm's Private Client Services Group. Adrienne has served as co-chair of the firm's Diversity and Inclusion Committee, and she is the founder and member of the firm's Women's Initiative. She also serves as a mentor in the firm's formal mentoring program. Northern Kentucky Collaborative Group, Inc.